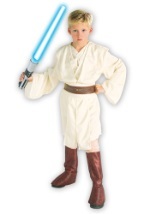 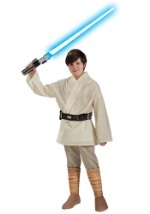 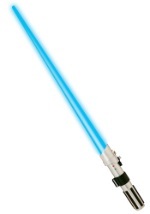 This full-length robe will leave no question that you are the Jedi Knight. 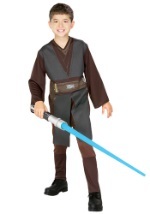 The brown 100% polyester robe has long sleeves and an attached hood. 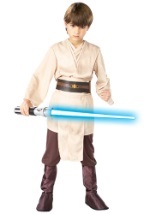 Make sure to add a lightsaber to complete your look. 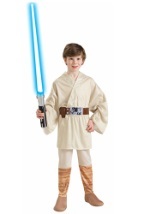 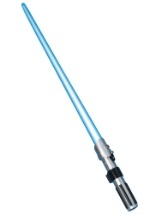 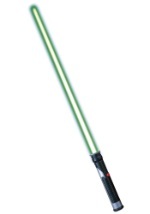 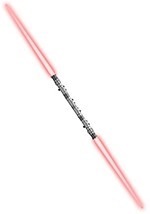 < **Under costume, boot toppers and lightsaber NOT included.